When people ask me to describe myself, I inevitably reply that I am a reader and a gamer, among other things. Rarely do those two hobbies converge, however. I mean, occasionally I talk about books with my gamer friends. And I realize that some libraries have board game nights. But for the most part, those two parts of my life are compartmentalized, set within specific contexts and situations. One could argue that this separation exists because the two are so different. And in some ways, I get that. Tabletop games bring people together to cooperate for victory over the game or to war among themselves for individual glory. Either way, there’s going to be a lot of emotion…and noise! Reading is more of a solitary activity by nature. Even if you join a book club or find a community of readers, the actual reading of the book is between you and the book. But I beg to disagree with this assessment. 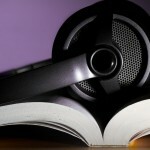 I think that reading and gaming are more similar than people realize. Let me start to explain by saying that board games have changed a lot over the years. 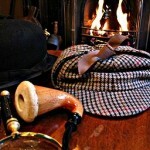 The games of yesteryear (Clue, Monopoly, The Game of Life) have evolved into more complex, dynamic games. Games where strategy is key, risks are rewarded or punished in due measure, and reliance on other players is a routine occurrence. 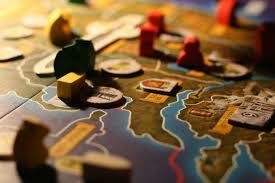 In particular, storytelling has become a huge component of tabletop games. Think about Dungeons and Dragons for instance, where the crux of the game involves players completing a story woven in real time by a game master. So personally, I think that reading and gaming pair really well. I also think that having a knowledge of games can come in handy for library workers assisting patrons who come in seeking reading recommendations similar to games they’ve played or just looking to extend beyond their favorite YA series. With this list of perfect pairings, hours full of enjoyment lie ahead. 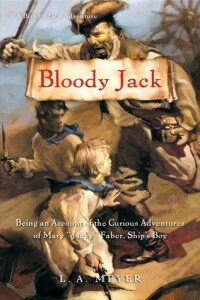 Read this: L. A. Meyer’s Bloody Jack series (2008 Selected Audiobooks for Young Adults). A massive 12-book series, Bloody Jack should satiate any reader with a thirst for adventure or a strong desire to run away and become a pirate. A bonus of the series is that Jacky Faber, the ship’s boy around whom the series revolves, is actually a girl, which makes this an optimal recommendation for pirate fans and readers who want a strong female lead. Play this: Dark Seas. The premise of the game is that you are a pirate captain with an island hideaway. You must build up your island by adding docks of different types, recruiting more pirates for your crew, raking in doubloons, and occasionally attacking other players. A fun twist is that your moves around your island are determined by dice rolls – but not necessarily your own. This can be awesome…or extremely frustrating. Read this: Beth Revis’s Across the Universe series (2012 Teens’ Top Ten). When Amy awakens from cryogenic sleep about 50 years too early, long before she will see the planet she was supposed to be traveling to, she realizes that it wasn’t a computer malfunction that set her awakening in motion. So she must explore the ship and determine which of its thousands of residents wants her dead…and why. Play this: Among the Stars. This is one of my favorite games! Each player chooses an alien race that gives them a specific perk throughout the game. Each player is also given a main reactor with two energy cubes to serve as the foundation of their space ship. The goal of the game is to build a space station with different types of locations that give you varying amounts of victory points, using cards that are passed to you by other players. A fair amount of sabotage and strategy is required to master this game, but my favorite part is trying to make my space station the place to be for entertainment and commerce – even though that doesn’t actually matter in the slightest. 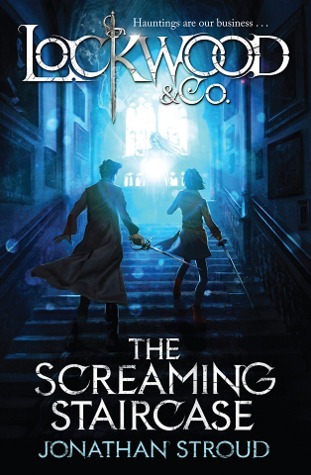 Read this: Jonathan Stroud’s Lockwood & Co. series (2014 Amazing Audiobooks for Young Adults). For 50+ years, the country has been affected by an epidemic of ghosts, leading to the sprouting of a number of agencies designed to exorcise these ghosts. 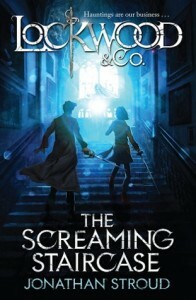 Lucy Carlyle comes to London and joins the Lockwood & Co. agency, a slightly eccentric agency looking for redemption after a prior case went terribly wrong. The series has plenty of haunted houses and terrifying moments, perfect for the Halloween season. Play this: Betrayal at House on the Hill. You play as a group of explorers who have stumbled across a spooky old mansion. For the first part of the game, everyone just explores the house, finding new rooms, collecting items, surviving brushes with the supernatural. Later in the game, the haunting begins and one person turns traitor. At this point, the game becomes more story-driven, as players complete one of 50 haunt scenarios within the game. The traitor typically wants to kill the heroes, the heroes want to survive and escape! I love this game because it changes each time, even down to the layout of the house as players place tiles to discover new rooms! It’s also such a fun collaborative game, forcing players to work together and share the victory. Read this: G. Willow Wilson’s Ms. Marvel series (2015 Top Ten Quick Picks for Reluctant Young Adult Readers). I’ve never been a huge fan of superheroes (Batman excluded), but Wilson’s new Ms. Marvel comic series turned that around for me. 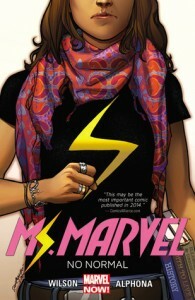 I think it’s because Kamala Khan is an ordinary teenager doing ordinary things before superpowers are bestowed on her. She gets freaked out, makes mistakes, and just tries to do the best she can with her new powers, all while dealing with the stresses of strict parents, her religion, and school. It’s a refreshing series, one I’ve come to enjoy immensely. Play this: Legendary. This is a Marvel deck-building game. That means that you start with a standard hand of cards. Some cards give you buying power, some cards give you attack power. In addition, some cards give you actions or chain together with other cards to do specific things. To build an individual deck, players recruit Marvel superheroes with buying power. Then they can attack villains on the streets and try to defeat a powerful overlord boss before time runs out. 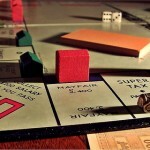 This is a cooperative game, so either everyone wins…or everyone loses.